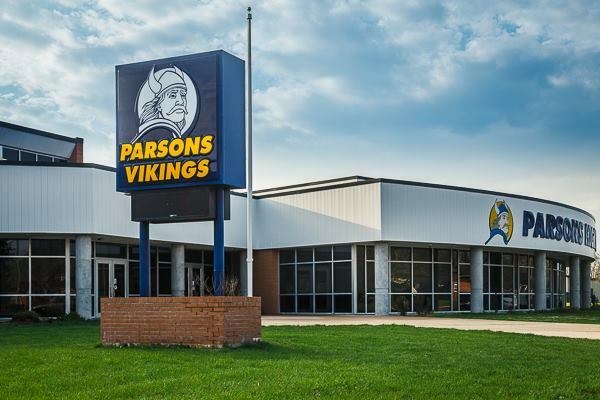 The Parsons Vikings are one win away from finishing this 2018 season off with just one loss. Last Friday Parsons nets a huge win on the road against the Caney Valley Bullpups. Caney Valley, a team that can run the ball as good as anyone and is a stout offensive team, was held to just 22 points as the Vikings go on to win 42 to 22. Coach Kurt Friess of the Vikings says Caney Valley is a physical team that they found flat footed early on, and they never looked back winning by 20 and moving to 6 and 12 on the year. Coach Friess is so proud of his guys effort throughout the 2018 season, and knew at the beginning of the season they had the talent to be a one loss team, just didn't quite believe till now. With one week left on the year, it may be their toughest test yet. Parsons will come back home to battle off against one of the top teams in the state, Galena High School. The Bulldogs have embarrassed most of their opponents this year as coach Friess says he and his guys know the talent of Galena but are confident in their game plan. Both the Vikings and the Bulldogs come in with quite a bit of momentum, Galena 7 and 0 on the year and Parsons winners of their last 2 straight that were against very difficult opponents. Parsons Vikings host their final game of the year this Friday kickoff at 7 PM against a tough Galena High School Bulldogs team.